Congrats, Helen! That LO is super cute!! Can't wait to play again this month! 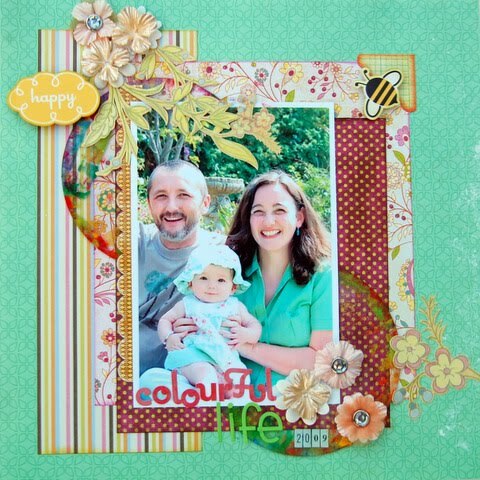 Congrats Helen...awesome job on your layout...I just love all the beautiful colors as well and the title! Congrats ladies-all the lo's were soo awesome! GORGEOUS LO! Congrats Helen, and congrats Linda! congrats to both Helen and Linda. A gorgeous layout - well deserved! a beautiful deserving lay out! congratulations!! OOoooh Liz this is Soooooooooooo exciting! Thank you!!! So sorry I've only seen it now - has been somewhat craaaaaaaaaazy around here with my kids writing exams & now being off for the holidays & all. Will e mail you soon! Thank you! Thank you!! Thanks for all the comments - yippee!!! Congrats on the win , Helen ! woot ! woot !